It’s hard to knock Uber when it looks like it’s trying to ensure there are fewer, not more, cars on the roads in our cities. 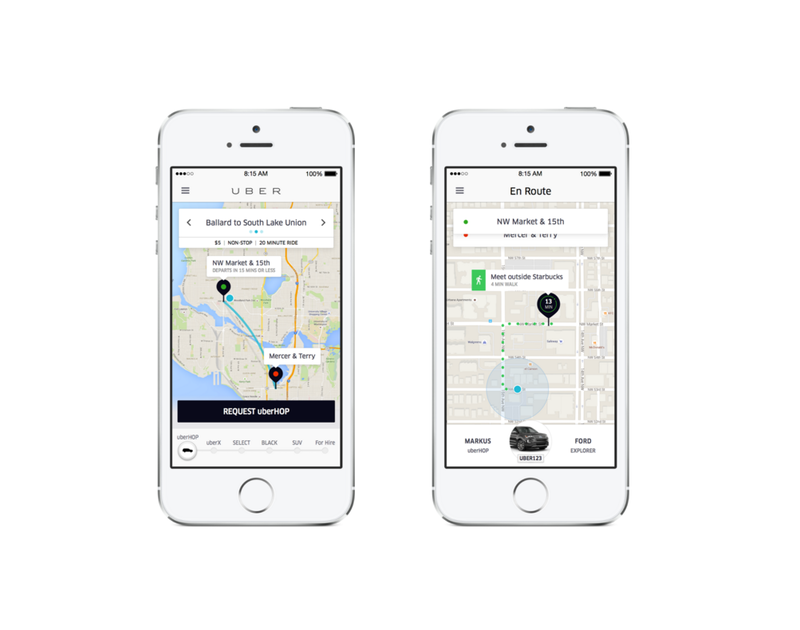 And its latest pilot ventures, uberHOP in Seattle and uberCOMMUTE in Chicago, both seek to do just that. uberHOP, like a bus with fewer seats, is enabling people to share rides down fixed routes to fixed destinations. Doesn’t sound greatly handy at first look, but then I guess neither does a bus! It builds on the uberPOOL idea, first introduced in San Francisco, that brings together riders going from a similar point in the same direction, but removes the option for annoying detours to help that stranger you just met. uberCOMMUTE, meanwhile, is seeking to make an Uber driver out of everyone in Chicago by enabling anyone to use the platform to pick up passengers during commuting hours of 6am to 10pm Monday to Friday. Uber will check your license and driving record before you get going, then offers the same safety features like GPS tracking, share my ETA and 2-way feedback that it already uses with its regular fleet. The driver will then be able to share the cost of each ride with the person who jumps in, while cutting traffic and pollution. Uber hasn’t revealed whether users will have to pay the standard driver charge of around 20 percent for access to its technology platform. If it doesn’t charge, drivers that are actually using Uber to make a living may be rightly furious. While its portfolio expands Stateside, Uber has quietly closed the uberAUTO rickshaw service it launched in India in April. Uber told Quartz that is was having problems scaling the platform. This could be down to the cash model it adopted for the first time when it started operating in Delhi, although users could also pay with the Paytm wallet, or it might perhaps be a smartphone penetration or internet availability issue.